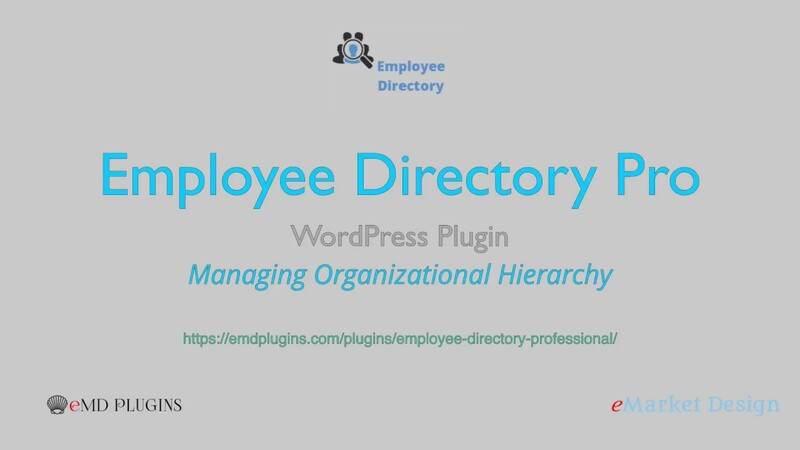 Employee Directory org chart helps your employees know about their colleagues and bring them closer together. Organization chart content can be limited by any available information as long as there is hierarchical connection between employees. For example, you can create specific sections. Clicking on an employee picture leads to the corresponding employee's profile page. Job titles are linked to the corresponding job title's page listing all employees who belong to that job title. While the organization chart shows the big picture view, employee profile pages display immediate manager and direct reports of an employee. Optionally you can create name only organization charts, hide job titles.